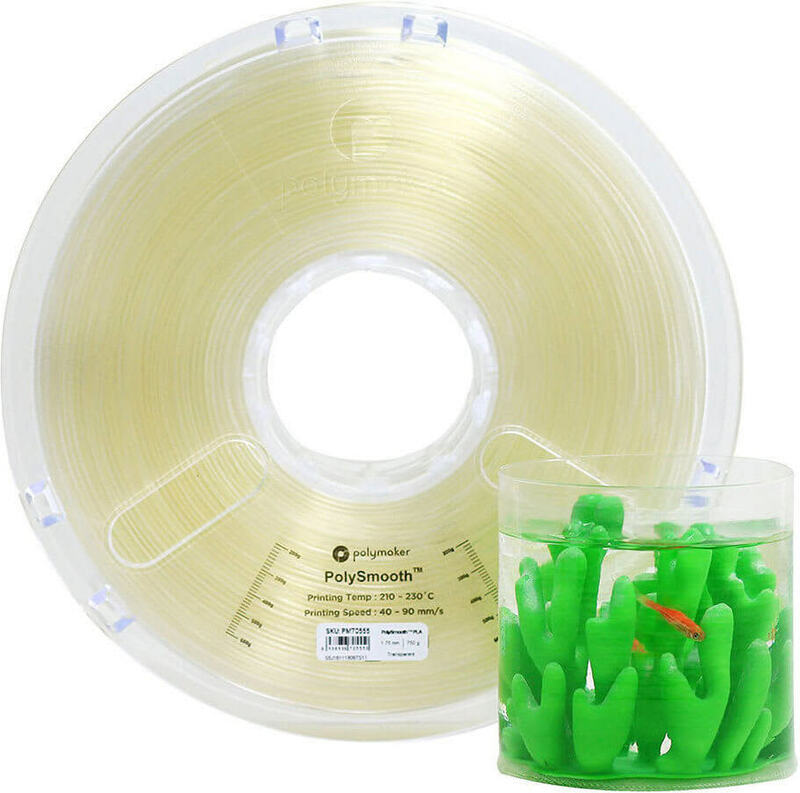 Free Standard Freight on All Filaments! Polysmooth is a PVB material that can be printed with PLA settings, creating excellent smooth prints. 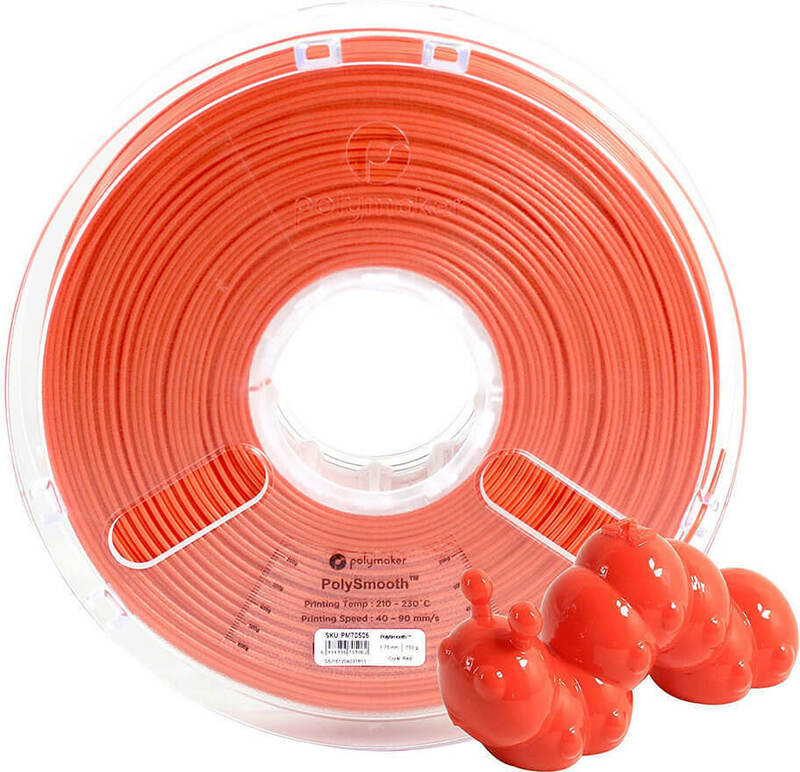 Printing in Polysmooth filament results in minimal odour, no warping and easy support removal. Polysmooth can also be used for investment casting. 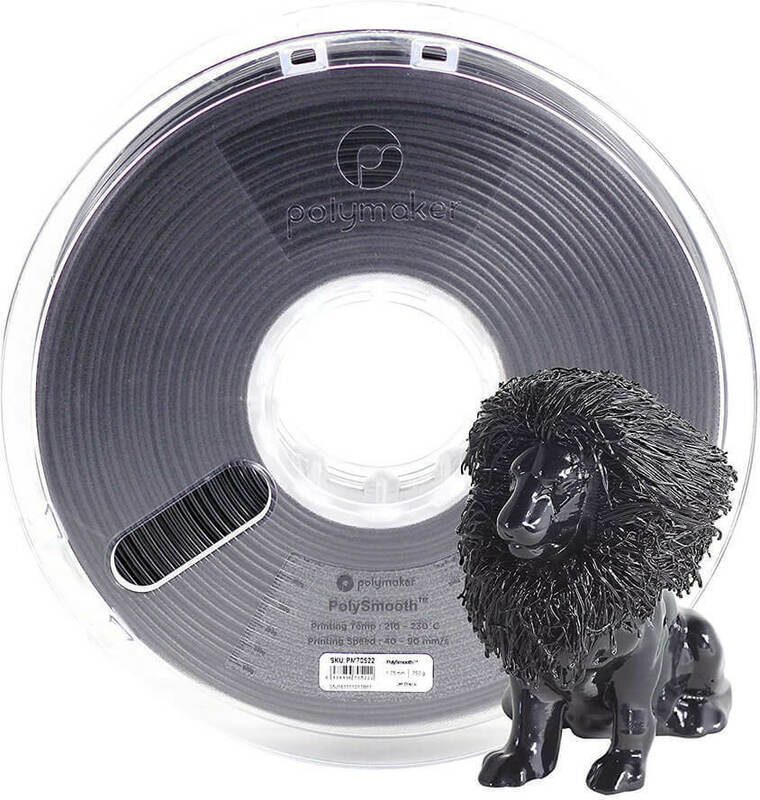 Combined with the new Polysher, Polysmooth filament will give the surface of your 3D prints a beautiful smooth and glossy finish with no layer lines. 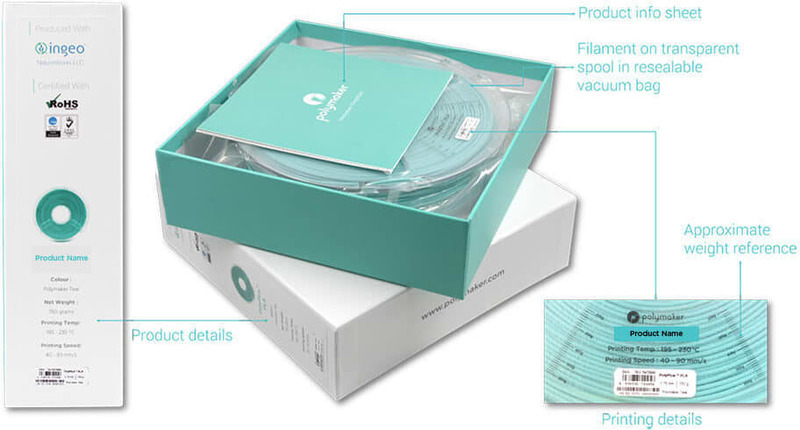 Polyshable The first 3D printable filament engineered for layer free post-processing. 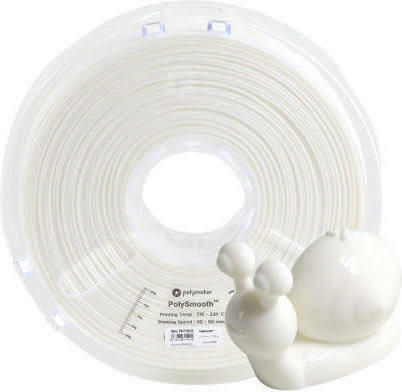 PolySmoothTM filament works alongside the PolysherTM to improve the surface quality of 3D printed objects. 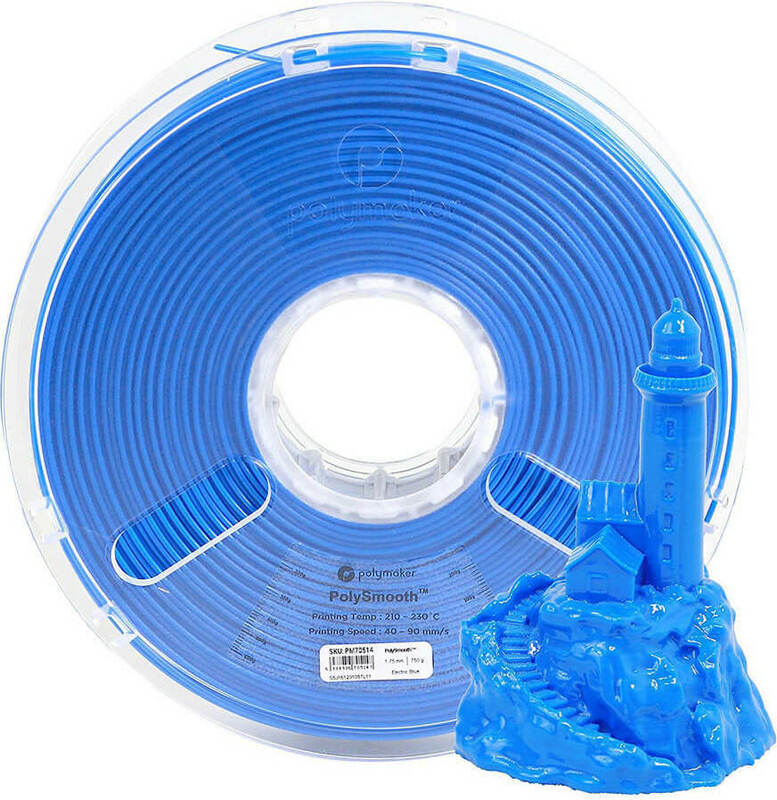 Easy to Print Compatible with all filament-based 3D printers and prints with PLA settings. Features a wide printing temperature range, low odour and no heated bed required. Optimized for Support PolySmoothTM has the same support removal properties as PolySupportTM, making it easy to break away support material. If you polish your model with the PolysherTM there will be no scar left on the surface. Warping Free – PolySmoothTM exhibits very minimal residual stress when printing making it ideal when creating large parts. 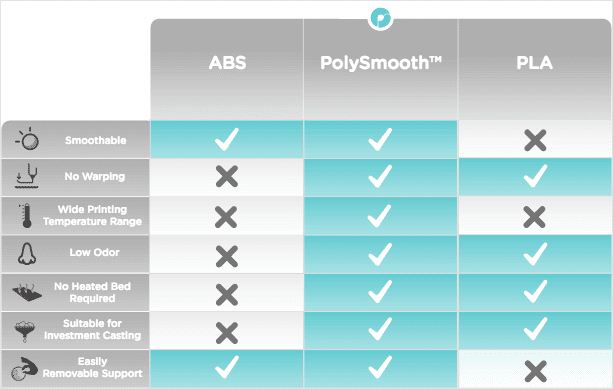 Balanced Mechanical Properties PolySmoothTM outperforms most ABS and PLA plastics, making it an ideal material for everyday 3D printing. 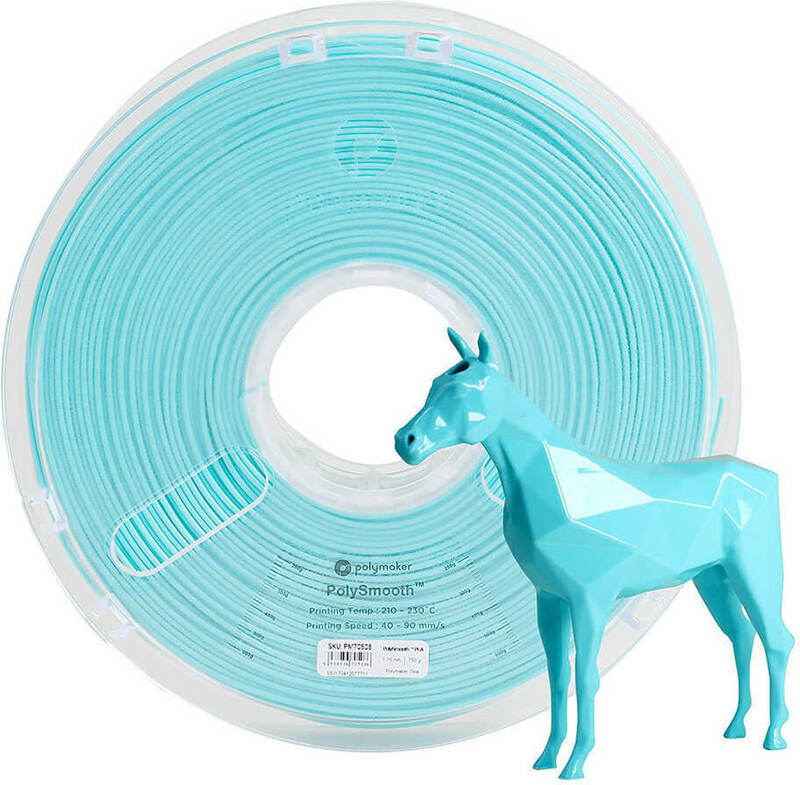 Store filament away from the sun and in a sealed plastic bag with the silicon moisture bag inside. 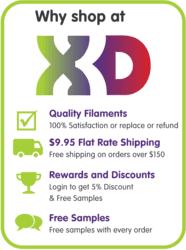 All stocked items are delivered in 2-3 business days from the order date. To check availability of back ordered stock simply add it to the cart. 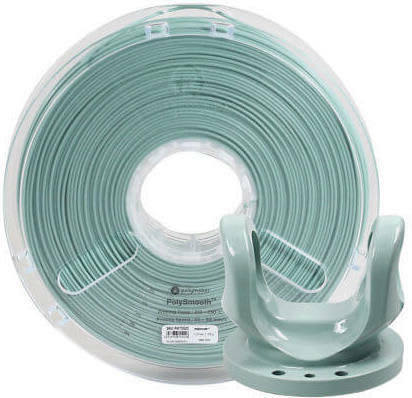 Please note the full order will be shipped when all filaments are in stock.